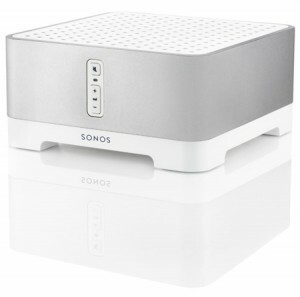 Just like the Connect Amp, the Sonos Connect is wireless, compact and convenient. Easy to set up, just plug it in, connect your choice of speakers and amplifier and you’ve got a room filled with music. And with the Sonos Connect’s expansive wireless range, you can play all your favourite songs and stations all over the house. And just like the Connect Amp, the design of the Sonos Connect is both compact and cool so you can hide it away or leave it out for all to see.